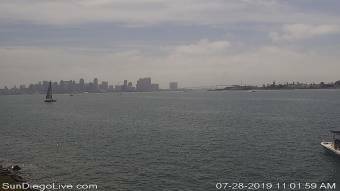 It's 06:18 in San Diego, USA right now. Downtown San Diego A live view of downtown San Diego, California and the bay from Shelter Island. Complete with streaming NOAA weather radio and local radio stations.